Looking for something fun to do with your family for Father’s Day -- June 16th -- this year? Come to the Manorville Historical Museum on 50 North Street in Manorville from 10:00 am till 2:00 pm and join us for our program "Passport through History". Upon arrival you will get a passport with a map of 7 different sites. Most are within walking distance of the Maples. At each stop you will meet a guide who will discuss the history of the site and stamp your passport. 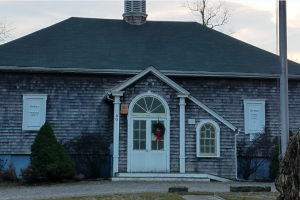 When your passport has all 7 stamps, return to the Manorville Museum for some complimentary refreshments and enter your completed passport for a chance to win one of three great prizes. There will also be a Master Gardener on site to discuss some of the farming history in Manorville. Each family will be able to complete a gardening craft to take home. All we ask you to bring is your love of history, sense of adventure, and a $10.00 donation. All proceeds will go to support and maintenance of the Museum.